First and foremost, let me say this: there is nothing like snowshoe boots. I mean a specific pair of boots explicitly claimed to be designed for snowshoeing. Sure a few boot manufacturers may include in some of their products’ description that they sport a special snowshoe adaptation, but personally I think that’s just a gimmick. All there is are boots that are ideal for snowshoeing. With that in mind, you can literally wear any footwear for snowshoeing as long as it comforts you. For us, it’s either waterproof hiking boots or winter boots. Salomon Quest 4D 2 GTX is the upgraded version of the original 4D. There isn’t much difference between this boot and its predecessor, except it becomes slightly lighter. For those who want a tough boot that’s light and nimble on the ground, there is barely any better option other than this boot. Featuring a flexible midsole and footbed combined with supportive fit and superb lacing system, you can walk as fast as if you were wearing casual shoes. Keep in mind though that the fit on this boot is rather snugly. If you think your feet are more on the wide side, you may want to look at other boots. Keen Targhee II has remained to be one of the best selling hiking boots for years, thanks to its affordability and surprisingly performance. For a lightweight hiking boots in its price range, this boot has proven to be tough and comfortable for day hiking and light backpacking. Rollover protection is optimized thanks to its design which puts the ankle a little bit high. The waterproofing element is not Gore-Tex but we’re glad to find that it works reasonably enough to keep the feet dry while still allow for decent ventilation. 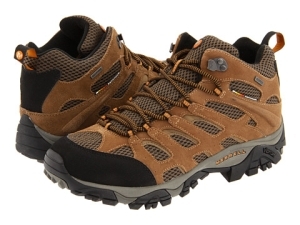 It’s definitely one of the best budget hiking boots any casual hikers would love. If the price tag of Salomon Quest 4D is too much for you, you may want to take a look at Timberland Chocorua Trail. Despite the affordability, this boot is Gore-Tex protected. The upper is made of nubuck leather, making it more resistant to heavy wear and tear. Weighing in 3.5 pounds, it’s not the lightest mid-cut hiking boots but for the price it offers, you can bet there is nothing better than this. Much like Salomon Quest 4D, this boot also suffers from thin outsoles. You’ll definitely feel rocks through it once you take it to rocky terrain but for snowshoeing, it’s a perfect pair. 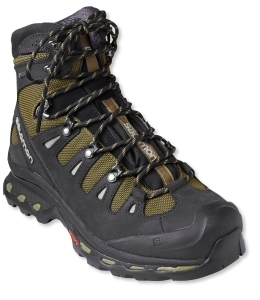 The favorite boots of all day hikers is Merrell Moab Mid WP. Being the most basic hiking boots doesn’t mean it’s stripped down of all the goodies. First, the ankle support is done nicely in this little guy. What’s better is such extra protection doesn’t cost in weight. This boot isn’t necessarily heavier than regular hiking shoes (less than 2-pound); easily one of the lightest mid-height trekking boots. As expected from inexpensive hiking boots, the waterproofing membrane isn’t Gore-Tex. The minimalist design also has the entire mesh exposed, making it more prone to tear and wet. So if you’re using them for snowshoeing, wearing gaiters is a must. Gore-Tex hiking boots are always great for snowshoeing until you learn that they’re not very breathable. Vasque Breeze 2.0 attempts to overcome this common issue by incorporating large patches of mesh. The air mesh itself is claimed to be more durable than common panels. 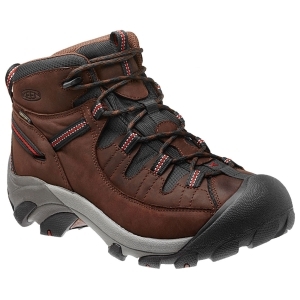 So there you have it, a pair of good rugged Gore-Tex hiking boots with comfy breathable design. The only concern we have about this boot is the toe box which seems to be rather small. So, unless you’re 100% certain that you’re on the small side of a size, it’s a good idea to pick out one that’s a tad bigger than your usual size. When timeless design meets first class quality, Sorel Caribou II is born. Its classic casual look never ceases to charm onlookers and its durability and performance always attract new winter sports enthusiasts. 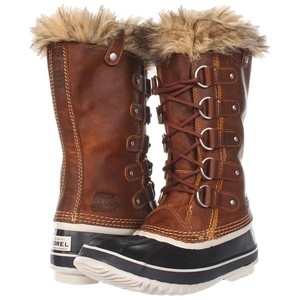 Like most Sorel boots, the design incorporates a tough wraparound rubber lower and leather upper. The two are connected with seam seals to expel moisture, making it completely waterproof. Its 9mm felt liner, on the other hand, isn’t the toastiest insulation but it can still keep your feet warm even when the temperature drops well below freezing point. 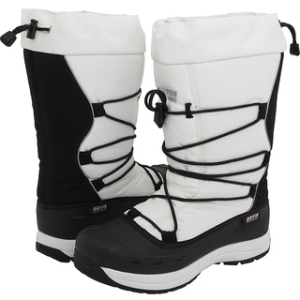 To avoid odor issue, which is common in waterproof winter boots, the liner can be easily taken off and replaced. All in all, it’s a great winter boot only a bit bulky and heavy. If you think you’re going to hit the trails quite frequently this winter, Columbia Bugaboot Plus III can really make a good company for you. Sporting a serious trekking boot design, this winter boot is geared for active people who spend most of their time outside in extreme condition. The extra 6-inch height and 200g of synthetic insulation provide excellent protection against pinching cold. Furthermore, Columbia’s proprietary Omni-Heat silver lining enhances its insulation by trapping your body heat. Frozen toes will no longer be your problem if you travel through deep snow with this boot. Don’t take light this boot just because it has a cute look. Sorel Joan of Arctic may have that eye-catching casual Manhattan-style boot design, but it’s completely ready for adventures. Its insulation is rated to minus 25 degrees Fahrenheit, perfect for outing on cold days. 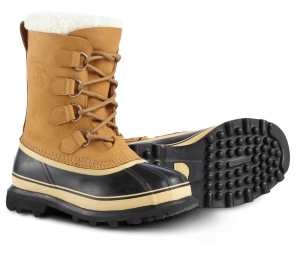 The rubber lower comes with the durability of Sorel’s heavy duty snow boots. And the inner liner can be easily removed for drying, in case the snow manages to find a way in. The only catch is its steep price tag. 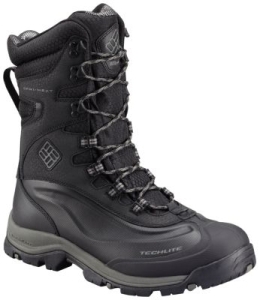 You can get winter boots with similar cold resistant rating for much less than its price. But if you want to snowshoe with style, Sorel Joan of Arctic won’t let you down. 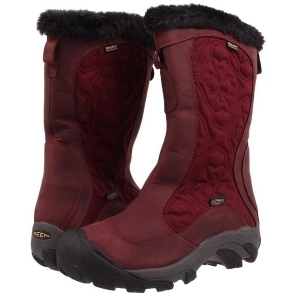 Cute, simple, tough, insulated, waterproof; what else could you expect from a perfect women’s winter boot? Keen Women’s Betty II lives up to its promises as one of the most versatile winter boots. The quilted side panels adorned with faux-shearling lining make this boot hard to beat in beauty department. 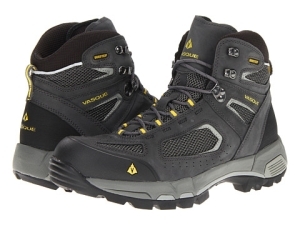 The rugged rubber outsoles provide good traction and security for outdoor activities. Keen’s in-house made insulation and waterproofing membrane are not perfect but they do a good job at keeping your feet warm and dry. You can wear them to walk through heaps of fresh snow or work on shoveling the slush and you’ll be happy to learn that not a sip of water slips in. Be a bit cautious though when choosing the size. The toe box seems a bit small on this boot. For women’s boots, Baffin Snogoose may seem a bit too rugged but if it’s the ultimate cold weather protection you’re looking for, you’ll be hard pressed to find other boots with similar temperature rating. The removable 7-layer insulating liners it comes with mark a splendid rating of minus 40 degrees Fahrenheit. Its beefy 900-denier nylon upper and single cord cinching system are far from looking pretty but they get the job done remarkably. Dry unconsolidated snow won’t find a way to sneak in and you won’t need to take your gloves off to adjust the laces. So, if you value function more than outer looks, this winter boot is ideal for you. 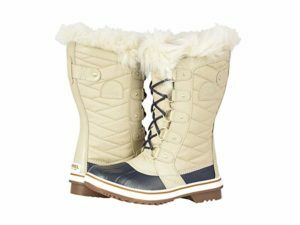 These Sorel Tofino li women’s boots are the ultimate mess between style and comfort. The fur and extended lining is extremely comfortable. With their light weight and flexibility at the ankle these will make it no problem walking long distances in the snow and keeping your feet warm. It is recommended to go up 1/2 a size from normal on these particular boot especially if you are wearing a thick wool sock. Waterproof hiking boots are our favorite choice and you should make them yours too. Why? Because they’re lightweight, breathable, and comfy since they mostly come with flexible soles. They may not be very warm and if you wander off through deep snow for long, the snow will eventually sneak in through the upper material, eventually making them wet. But such minor things can be easily overcome with gaiters. Besides, snowshoeing is a highly aerobic activity. Your body will produce heat quickly after you start walking. So you see, you don’t really need extra insulation. In certain cases when days seem to be very frosty, we also like to wear winter boots. They are bulky and the stiff soles along with non-breathable design can make a long outing quite uncomfortable. Still, the added insulating liners are very helpful to keep the feet warm. Needless to say the extra height also helps prevent the snow from creeping in. Either way, they’re still a viable option for snowshoeing. Need help to choose the best snowshoes? Check out our snowshoe buying guide! If you’re snowshoeing with hiking boots, make sure you wear wool socks. Never wear any other types of socks, especially cotton. Why? Because cotton gets cold once your feet start sweating and wool is a great insulating material. It’s breathable and absorbs sweat without getting the cold. Also, wear gaiters too. 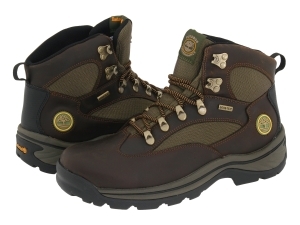 They’re hardly needed if you wear winter shoes but become essential if you choose to go with mid-cut hiking boots. Trust me, you’re going to appreciate them especially if your boots are one of those budget models that use in-house made waterproofing membrane, instead of Gore-Tex. 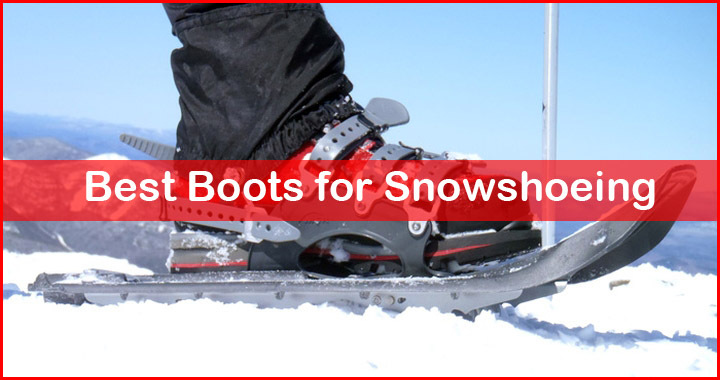 We hope the list above help you find your best boots for snowshoeing.